One of the greatest strengths of project-based learning (PBL) is that it can make learning hands-on in a way that can engage otherwise reluctant or disconnected learners. This is especially true for STEM fields. In higher grade levels, STEM classes often get a reputation for being difficult, and students can be intimidated by them. Classes like Calculus, Chemistry, and Physics are often typecast as difficult classes. They’re seen as endless equations that have little connection to students’ prior experiences, and students might even intentionally avoid paths that lead through these core classes if they don’t feel connected to them. 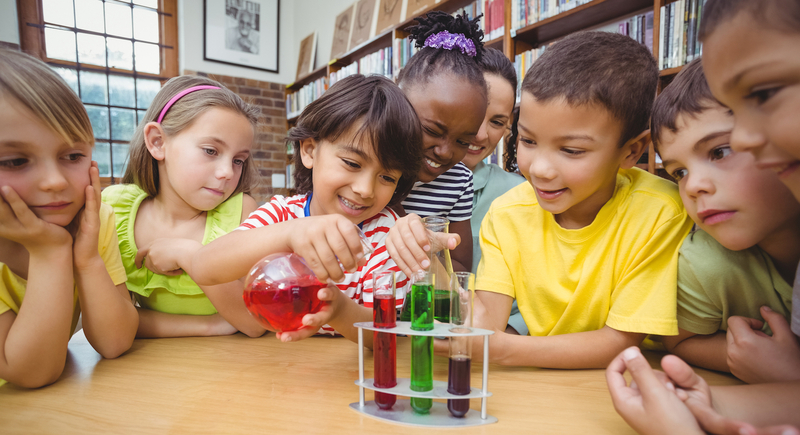 One of the best ways to dispel these stereotypes about STEM classes is to provide project-based learning experiences early and often, giving students a different understanding of how STEM is already incorporated into their lived experiences and how it could be a part of their future education and careers. By turning to PBL approaches for STEM, educators can bring forward a wealth of benefits for students and learning outcomes alike. Students see connections to real-life experiences. From a very early age, kids have been exposed to STEM connections in their real-world experiences. In everything from cooking to home appliances to playing video games on a tablet, they have been using STEM principles their whole lives, but they don’t always see that connection when it comes to sitting in a classroom. Project-based assignments help make those connections more apparent, activating prior knowledge and priming students’ minds for new information on the subjects. Projects are often lower stakes than other assessment forms. Project-based learning often calls for experimentation, making mistakes, and trying again. This kind of learning by doing is key to truly understanding STEM concepts, but high-stakes testing can often leave students feeling fearful of making the kind of errors that they need to be willing to make to truly learn. PBL gives students the space for risk taking that they need to succeed in STEM learning. Projects get students talking. Students talk to each other, and if the projects that upper-class students are doing are exciting enough, word will spread to younger students about the exciting opportunities coming their way in STEM classes. If the projects are engaging and truly interesting, it will help create a culture of curiosity and excitement around these classes. Be interdisciplinary. PBL works best when students can draw on experiences and knowledge from multiple areas of expertise. Even if the project is housed in a single classroom, provide opportunities to reach outside of that area when conducting the project. Be authentic. True PBL has to give students room to make the project their own. Simply giving students steps to reach a preconceived conclusion isn’t going to get them engaged and interested the way that true ownership over the project will. Giving up some control and truly letting students discover along the way is key to the process. Be optimistic. Trust students to do well and give them a real challenge. While projects should be age and grade appropriate, they should be challenging, and students need to feel that their educators believe in their abilities to stretch their skills to complete the project. While PBL can take a little more time and effort, the results are well worth it. Students will be more engaged and see the connections between concepts in a way that can’t be replicated without such hands-on experiences. Give them the space and tools to learn STEM skills through projects that will excite and ignite!